Have you ever dreamed of owning your own garage? A place where you could modify, repair and upgrade bikes to get exactly what you wanted. Motor World: Bike Factory grants your wishes with not only a garage and some wonderful bikes, but a whole crew for you to manage and supervise according to your needs. Motor World: Bike Factory is available to download and play for free on the iOS through the Apple iTunes store. 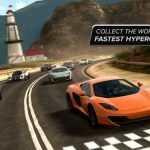 The game is developed by Oh BiBi Social Entertainment who is also the creator of the insanely famous Motor World: Car Factory. At a small size of only 47MB, this game packs awesome entertainment into a nifty little package. Motor World: Bike Factory has been categorized under the Racing genre although it offers gameplay similar to simulation games as well. The objective of this game is highly interesting yet very simple to understand for anyone who is into bikes and cars. You are a bike builder in this game who has just started with his very own bike factory. In order to work your way up the success ladder you will have to build unique bikes from the huge variety available in the game. You will also need to upgrade your workers, maintain good clients and race your friends in challenges to help unlock new features. All of this may sound very easy but as you start to make a name for yourself in the bike industry you will be faced with many challenges and it might be a bit hard for you to struggle along on your own. This Motor World: Bike Factory guide complete with tips and tricks will help you through the difficult phases of the game and once you start following the tips mentioned here, you will definitely see a huge improvement in your gameplay. Read on biker dude and carve your destiny among the legends of the biking world! Motor World: Bike Factory is primarily concentrated around the concept of building unique and powerful bikes. In order to build the best bike, first you need to understand how the building process works as the basic instructions in the game might not be enough for you to perform at your best. In order to reveal the details about a particular bike you need to hold your torch for one second over the bike. Your bike is placed on an assembly line and as in the real world the bikes in the game are also composed of various different parts. You will need to complete one part and when you are satisfied with your work you can tap the part to move the bike further along the assembly line. Remember, there is no limit to your creativity so try to build bikes that will always hold a special place in your heart rather than picking up on designs online or from your friends. Building a whole garage full of bikes may feel satisfying but it’s really not worth it if they are all low quality bikes that need to be repaired again and again. A primary pillar of this game is to ensure that the bikes that you build will last your client a lifetime. Once you have built a bike always make a habit to perform a detailed quality check so that your client always gets what he wants. Another important thing to keep in mind is the Working Points. This is represented in the game as WP and these points are a measure of the work needed to produce a bike. The working points are different for each part of the bike and a speed up feature also allows you to reduce the time taken to complete a part of the WP value for it is too large. However if you do not want to spend money on the game it is suggested to save your speed ups for later in the game when the parts take extremely long to complete. Motor World: Bike Factory is a very different game from all the mechanic and repair games out there. You need to carefully determine the market demand for each bike before you decide to increase or decrease its selling price. This may seem like a business concept but once you get into the flow of the game, it is very easy to get lost in this virtual corporate world of buy and sell and it is a major defining feature of this game. There is a very easy tip to remember and it really depends on how much time you are willing to spend on one bike. Lowering the price of the bike greatly reduces selling time as there is more demand but you gain less profit per each bike sold. Similarly raising the price of a bike lowers demand and increases selling time but you can get more profit for every bike. You can recruit workers for your garage from a pool of 19 workers and just like in real life you will have to keep your workers happy if you want to see the best results for your bikes. The workers eat donuts in order to get the energy to keep working on your bikes. You get daily free donuts in the game but sometimes you might spend all of the workers energy on a hard to complete bike and then you will be stuck until the next day. To resolve this, you can either purchase more donuts using the in game currency or real offers. Another option is to increase your donut bar which will allow your workers to have a greater stock of donuts and thus more energy to complete your bikes. This game is an open world social game and you will get the most fun out of it when you play it with your friends on Facebook. 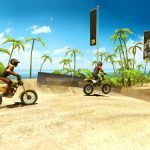 There are a ton of rewards and bonuses for completing various quests with your friends, building free bikes for your biker friends, challenging them to races and many more events that are sure to keep you engaged and fascinated. Having a large fan following of the bikes that you make will cause your reputation to rise very rapidly and the best way to achieve this is to share your bikes and achievements with your friends on Facebook. Remember you get the complete biker experience only when you are part of a biker gang and that is the gang of friends you have on Facebook. 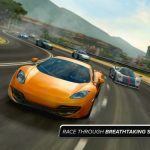 Motor World: Bike Factory also launches special social events either on Facebook or real life locations. 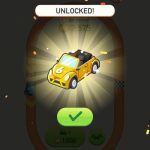 Be on the lookout for such special events as they can really help boost you in the game with awesome prizes and features that you cannot obtain in the game normally. When playing the game always remain alert of their Facebook page and posts and you will surely get a chance to be part of these special events. Our list of Motor World: Bike Factory tips and tricks should help you move along the beginner stage into advanced biker territory and the game will be much less of a challenge for you now. So what are you waiting for? Get your tools out and start building that chopper!